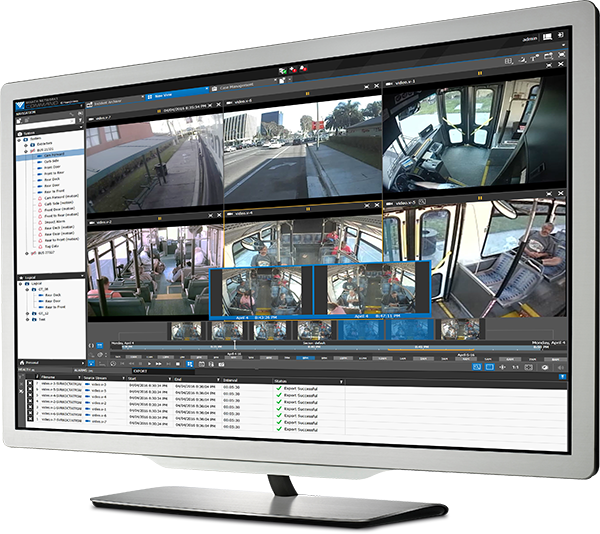 An enterprise-class video surveillance management and recording solution with full hybrid capabilities for bus and passenger rail operators. 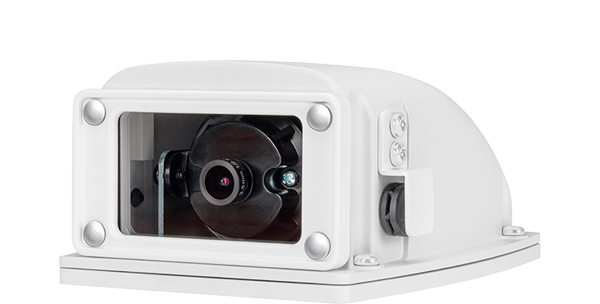 Enhance passenger safety and reduce risk with the industry’s most reliable mobile network video recorder (NVR). The RideSafe GT Series Hybrid Transit NVR is purpose-built to withstand extreme shock and vibration, with a rugged, industry-recognized SAE J1455-standard design and a tamper-proof enclosure that also protects against dust and moisture. Its Linux-based operating system guards against hacks and viruses while its internal battery backup and hard drive mirroring functions provide additional recording redundancy. These robust NVRs are part of our complete RideSafe mobile solution for bus, para-transit and passenger rail operators. The RideSafe GT Series Hybrid Transit NVRs are part of our complete mobile video solution for transportation providers. To learn more about our mobile products, or to build your own mobile solution, try our convenient online tool. 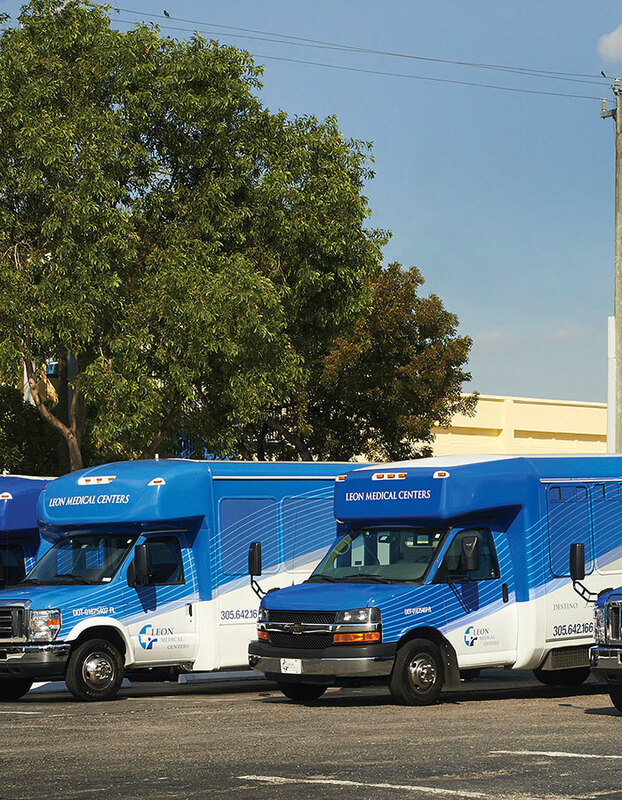 The RideSafe GT Series Hybrid Transit NVRs integrate seamlessly with March Networks mobile cameras and Command for Transit software, providing you with comprehensive video coverage of your mobile fleets as well as your fixed assets like platforms, stations, depots and parking areas. 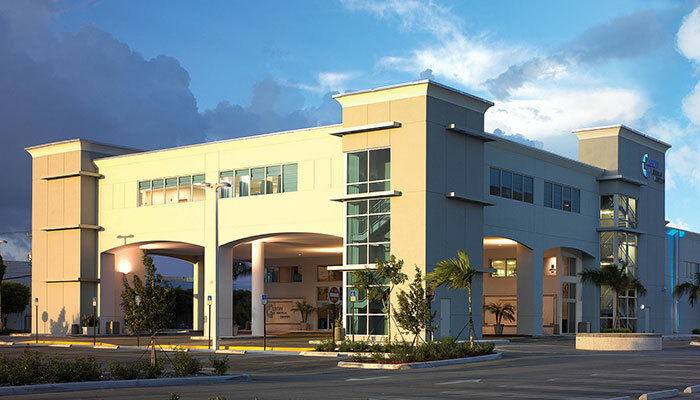 Advanced tools enable rapid search and archive capabilities, complete system health monitoring, and remote access to live video and vehicle information. 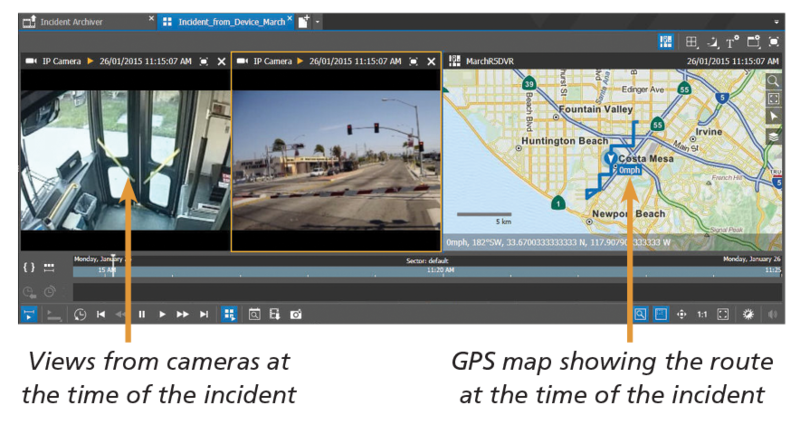 With our RideSafe NVRs, you can easily gather operator-initiated tagged events and vehicle metadata such as GPS location, vehicle number and speed, for comprehensive oversight of driver behavior and more detailed post-incident investigations. Our RideSafe GT recorders come with full hybrid capabilities, allowing you to move from 100% analog to 100% IP video at your own pace. You get a highly reliable, feature-rich recording platform you can use now – and well into the future. 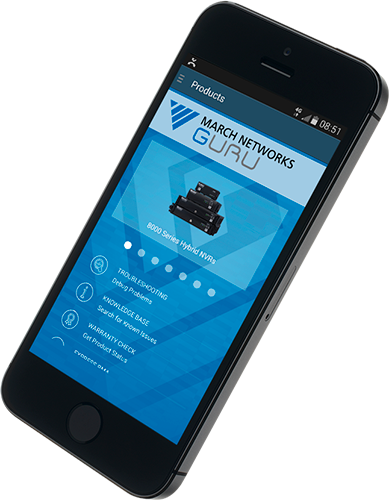 Use the recorders with our free GURU Smartphone App for instant access to diagnostic and technical support information in the field. Just use GURU to scan the QR code on the front of the RideSafe recorder and instantly access product and warranty information, tech tips, tutorials and a host of other support tools.